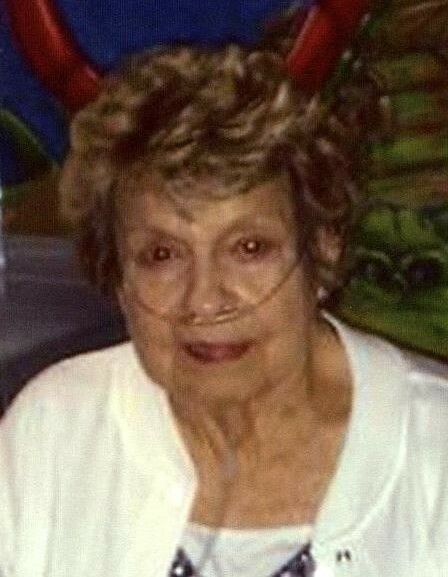 Clara Gazia, 86, of Wintersville, OH, formerly of Phoenix, AZ, passed away Wednesday January 30, 2019 at U.P.M.C. Mercy Hospital in Pittsburgh, PA.
She was born March 18, 1932 in Plum Run, Ohio, a daughter of the late George and Susie (Mayros) Hrancho. In addition to her parents, she was preceded in death by her husbands, John Zimnox and Joseph Gazia; six brothers, Jack, Steve, George, Andy “Dave”, Paul, and Marshall Hrancho; and four sisters, Pauline LaSharr, Alice Russell, Margaret Lanciault and Helen Villes. Clara was worked as a secretary at Zimnox coal and she was also a clerk at the former Carlisle’s Department Store. She was Lutheran by Faith. She is survived by a sister, Mary (Tom) Bensie of Mingo Junction, OH; special neighbors, Casey and Dave Chaney and their son Hollis; many nieces and nephews; and her step-children in Arizona, Guy, Joseph and Lisa Gazia. Friends will be received at the Wheeler Funeral Home, 712 Third St., Brilliant, on Saturday from 2:00 p.m. until the time of her funeral services at 6:00 p.m. with Rev. John Ater, officiating. Private interment at Union Cemetery in Steubenville, OH.